Submitted 4 months 2 weeks ago by FeedsFloor. The Liquorice Festival in Copenhagen began 7 years ago as a spinout from a large Danish food festival and as a cooperation between LAKRIDS by Johan Bülow, Weber Grill Academy and the organizer Expo Viva. So how is it, that an event about something as specific as licorice can keep being innovative and create a sense of community? We have talked to Eve Vedel, CEO of Expo Viva and organizer of the Liquorice Festival. What is the Liquorice Festival? The Liquorice Festival is a weekend where guests are presented with exclusive products with the flavor of licorice. 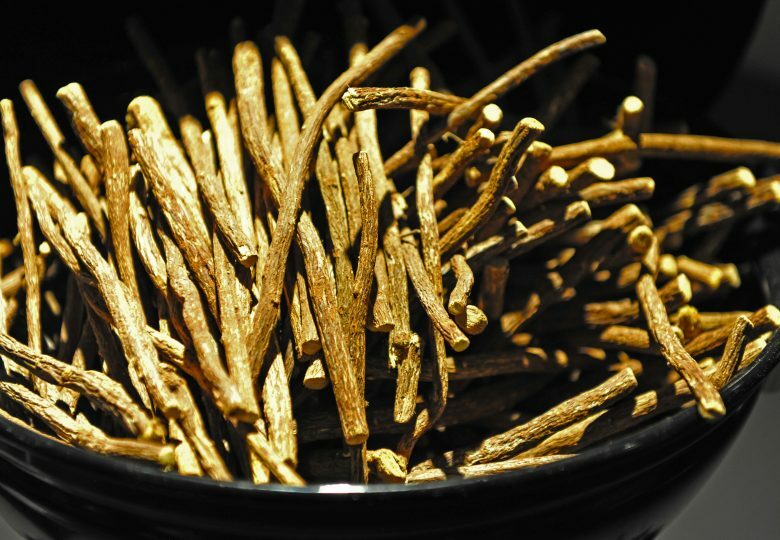 From licorice root, raw licorice to gourmet licorice, mixed with exciting new flavors and in exciting new ways”. “At the Liquorice Festival, visitors experience a two hour exclusive journey of making, tasting and purchasing licorice products, from licorice used as a spice in the kitchen to baked goods with licorice and sweets and chocolate to beer and cocktails with licorice. The Liquorice Festival takes place at Weber’s Grill Academy in Copenhagen, where chefs experiment with both the salty and sweet sides of licorice in one big open kitchen. Who are the visitors at the Liquorice Festival? More than half of the visitors are repeat visitors, who come back year after year. They are always excited to find out what this year’s theme is. We therefore have to stay innovative and find new twists every year, while keeping the concept recognizable and exclusive. People, who buy tickets for the Liquorice Festival, are in general food enthusiasts and foodies, who enjoy the finer things in life, especially when it comes to high quality food. During the whole weekend there is only room for 900 people and tickets are therefore completely sold out every year. People even come from abroad to experience the Liquorice Festival. For instance a woman from Amsterdam is coming to this year’s Liquorice Festival. She is a foodie and is considering producing licorice of high quality in Amsterdam. She comes because she is interested is seeing what the trends are in Denmark and the Scandinavian market, as she knows the Scandinavian market for licorice is fast moving. Another woman from Germany is coming together with her family, as they wanted to have a great weekend in Copenhagen. “We decided to make the most out of it and will spend a whole weekend in Copenhagen to explore not only the festival, but also the city itself. I’m looking very much forward to know more about the production and to be inspired to cook and bake with licorice in a cozy, Danish atmosphere and of course to taste a lot of licorice. Copenhagen is one of the favorite cities of my brother and sister in law. They have visited Copenhagen several times, but for me and my husband it will be our very first visit. We have booked a lovely hotel and will enjoy a little luxury, the Scandinavian lifestyle and architecture, but most of all the licorice” says Kirsten Meyn. Even the very first year of the Liquorice Festival, we had the privilege of visitors from abroad. A young guy from Germany called me up just before Christmas. They were three guys living in Frankfurt, Paris and Oslo and wanted to meet in Copenhagen for the Liquorice Festival and went for the full treat and even had a licorice dinner later on in the evening. With the high quality of guests, it is also important to keep the companies participating of high quality. It is therefore not possible to just register to exhibit your licorice products. Only the best producers get chosen and they have to bring their absolute best licorice flavored products. There are only room for 15 exhibitors. All companies therefore come with a signature product, which represents the best of their products with the taste or use of licorice. The best products are nominated for the Liquorice Taste Award, where a panel of chefs, food critiques and bloggers are represented. Via a blind tasting this panel chooses the winner of this year’s Liquorice Taste Award, which will also be featured in the media. Last year it was an ice cream with the taste of licorice from Jacob & Jakob Icecream. For the selected companies it is not only a matter of getting exposure in media and towards the visitors, but they also get feedback directly from foodies as it is an intimate and exclusive experience, where the visitors talk and engage directly with the exhibitors, while tasting their products. Networking among the companies also takes place during a dinner, where both small and large companies can talk with each other and exchange experiences. Eve Vedel can see that more and more people find their way to the Liquorice Festival via online channels. She has therefore this year created the virtual Liquorice Showroom, where not only the companies participating in the Liquorice Festival is shown, but also other producers of licorice or licorice flavored products can show their products. In this way licorice enthusiasts from all over the world can discover the best of the licorice businesses without having to travel all the way to Copenhagen. This is a chance for licorice lovers to discover and chat 1-to-1 with the fantastic producers of licorice products and automatically receive updates on new licorice products. For the producers it is a chance to get shown to an international audience that cannot make it to Scandinavia. In this way it becomes an international community of licorice. The Liquorice Showroom is open throughout 2018, but you can only chat with the producers from March 24 – 30, 2018.